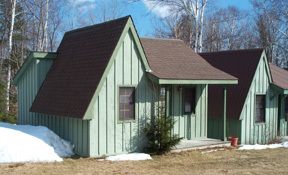 All of our accomodations are available year round. 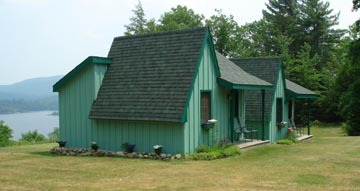 The cottages have knotty pine interiors with a living room, bedroom and a bathroom. 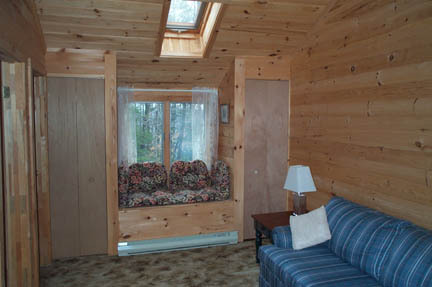 Cottages and rooms have Adirondack white cedar furniture and wall to wall carpeting. There is Satellite TV with premium channels along with wireless or ethernet internet access. PLUS - free long distance (U.S.) calling. ALL ROOMS ARE MODERN AND CLEAN, CLEAN, CLEAN!!!!! Please call for rates. Prices will vary depending on your specific needs. 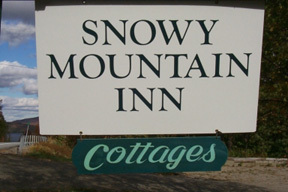 Snowy Mountain Inn is also the home of the Adirondack Smokehouse Barbecue Company. We feature Real Pit Southern Barbecue smoked meats and poultry. 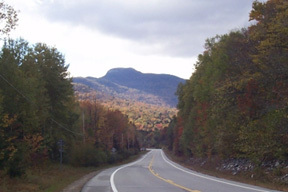 Our chicken and ribs are the best in the Adirondacks. We also offer prime rib, steaks, chops, seafood and pasta dishes. There are always daily specials and everything is homemade.